Most people are familiar with the classic true teas such as green, black and oolong, but there's actually a fourth true tea that recently gained popularity and scientific acclaim. White tea first emerged in Asia and achieved popularity in the West only in the last 200 years or so. White tea is a true tea and the least processed, making it a delicate tea that packs a punch when it comes to health benefits. 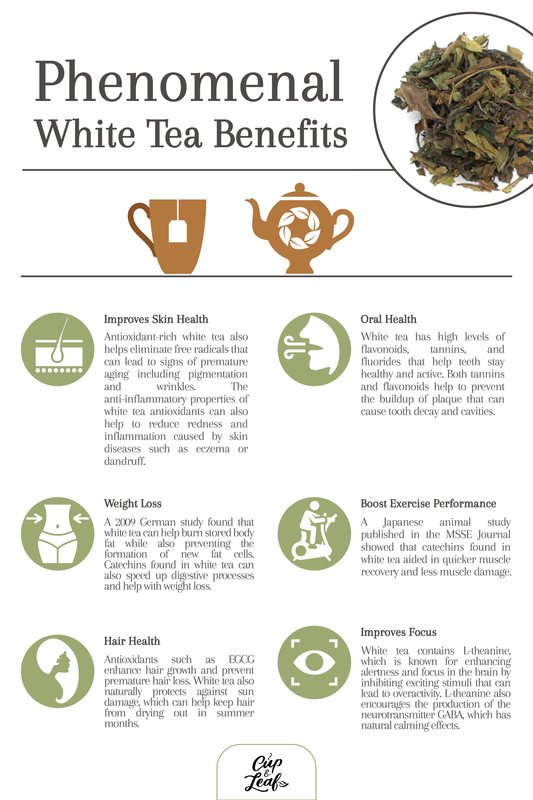 White tea benefits include preventing tooth decay, promoting healthy skin and hair and increased energy and alertness. Drinking a cup a day can help prevent things like the common cold and eliminate free radicals that can cause an array of ailments from acne to cancer. White tea comes from the Camellia sinensis plant just like black tea, green tea and oolong tea. Before the white tea leaves open, the buds are harvested for the production of white tea. These buds are usually covered by minuscule white hairs, which lend their name to tea. White tea is mainly harvested in the Fujian province of China, but there are also producers in Sri Lanka, India, Nepal and Thailand. True teas all come from the leaves of the same plant, so the difference between teas is based on two things: the terroir (the region in which the plant is grown) and the production process. One of the differences in the production process of each true tea is the amount of time the leaves are allowed to oxidize. Tea masters can roll, crush, roast, fire and steam leaves to aid in the oxidation process. As mentioned, white tea is the most minimally processed of the true teas and thus doesn't undergo a long oxidation process. In contrast to the long oxidation process of black tea, which results in a dark, rich color, white teas simply wither and dry in the sun or a controlled environment to preserve the garden-fresh nature of the herb. Since white tea is minimally processed, it features a delicate taste profile with a soft finish and a pale yellow color. It has a slightly sweet flavor. When brewed properly, it doesn't have any bold or bitter taste. There are several different varietals, which have fruity, vegetal, spicy and floral hints. There are two main types of white tea: Silver Needle and White Peony. However, there are several other white teas including Long Life Eyebrow and Tribute Eyebrow along with artisanal white teas such as Ceylon White, African White and Darjeeling White. Silver Needle and White Peony are considered to be the most superior when it comes to quality. The Silver Needle variety is the most delicate and fine white tea. It consists of only silver-colored buds about 30 mm in length and offers light, sweet flavor. Silver Needle white tea has a golden flush, floral aroma and a woodsy body. White Peony is the second highest quality white tea and has a mixture of buds and leaves. In general, White Peony is made using the top two leaves. White Peony teas have a stronger taste profile than the Silver Needle type. Complex flavors blend flowery notes with a full-bodied feel and a slightly nutty finish. This white tea is also considered a good budget buy in comparison to Silver Needle as it is cheaper and still offers a fresh, robust flavor. White Peony tea is more pale green and gold than it's pricier alternative. Many people struggle with skin irregularities such as acne, blemishes and discoloration. While most of these skin conditions are not dangerous or life threatening, they're still annoying and can lower confidence. White tea can help you achieve an even complexion thanks to antiseptic and antioxidant properties. A study by the Kinsington University in London showed that white tea can protect skin cells from damage induced by hydrogen peroxide and other factors. Antioxidant-rich white tea also helps eliminate free radicals that can lead to signs of premature aging including pigmentation and wrinkles. The anti-inflammatory properties of white tea antioxidants can also help to reduce redness and inflammation caused by skin diseases such as eczema or dandruff (1). Since acne is often caused by pollution and free radical build-up, drinking a cup of white tea once or twice daily can clear up skin. Alternatively, white tea can be used as a cleansing wash directly on the skin. You can also place a white tea bag directly on any trouble spots to speed up healing. A 2005 study by Pastore Formulations showed that white tea can be beneficial for people who suffer from skin conditions including rosacea and psoriasis. This can be contributed to the epigallocatechin gallate present in white tea which helps produce new cells in the epidermis (2). White tea contains high amounts of phenols, which can strengthen both collagen and elastin lending a smoother, more youthful appearance to skin. These two proteins are vital in creating strong skin and preventing wrinkles and can be found in a variety of skincare products. Studies have shown the strong connection between true teas and the potential for preventing or treating cancer. While studies are not conclusive, the health benefits of drinking white tea are largely attributed to the antioxidants and polyphenols on tea. Antioxidants in white tea can help build RNA and prevent the mutation of genetic cells that leads to cancer. A study in 2010 found that antioxidants in white tea were more effective in preventing cancer than green tea. 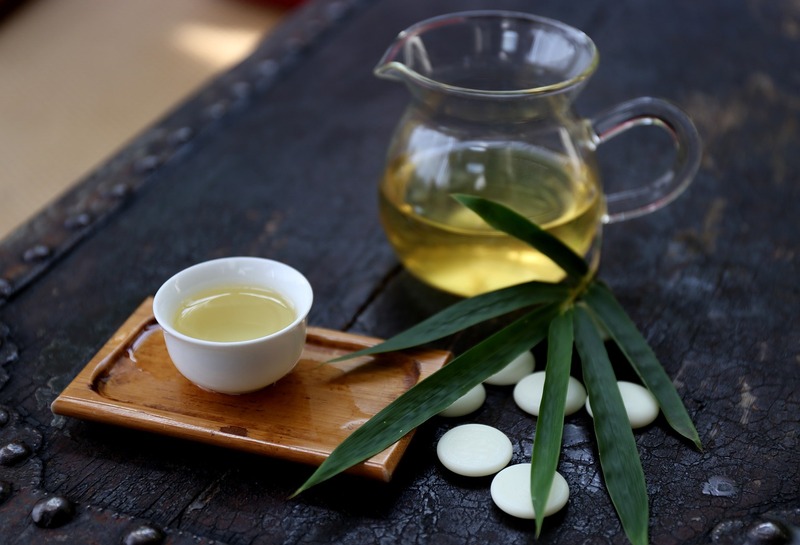 Researchers used white tea extract to target lung cancer cells in the lab and results demonstrated dose-dependent cell death. While studies are ongoing, these results show that white tea may help stop the proliferation of cancer cells and even contribute to the death of mutated cells (3). For many people, losing weight goes beyond just making a New Year's resolution; it's a real struggle to shed pounds and live longer and healthier. Obesity is one of the leading contributors to a shorter life span and losing weight is increasingly at the top of people's priorities. Drinking white tea can help you achieve your weight loss goals by helping your body absorb nutrients more efficiently and shed pounds more easily by speeding up metabolism. A 2009 German study found that white tea can help burn stored body fat while also preventing the formation of new fat cells. Catechins found in white tea can also speed up digestive processes and help with weight loss (4). Not only is white tea good for skin, it can also help establish healthy hair. The antioxidant called epigallocatechin gallate has been shown to enhance hair growth and prevent premature hair loss. EGCG has also shown promise when treating scalp skin diseases caused by bacteria that is resistant to common treatments (5). White tea also naturally protects against sun damage, which can help keep hair from drying out in summer months. White tea can restore hair's natural shine and is best be used topically as a shampoo if you're looking to capitalize on shine. White tea has the highest concentration of L-theanine amongst the true teas. L-theanine is known for improving alertness and focus in the brain by inhibiting exciting stimuli that can lead to overactivity. 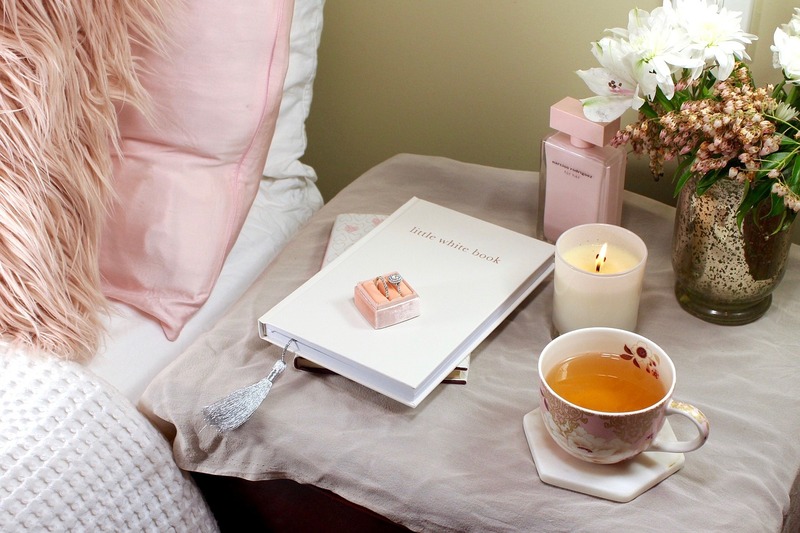 By calming the stimuli in the brain, white tea can help you relax while also increasing focus (6). This chemical compound has also shown positive health benefits when it comes to anxiety. L-theanine encourages the production of the neurotransmitter GABA, which has natural calming effects. 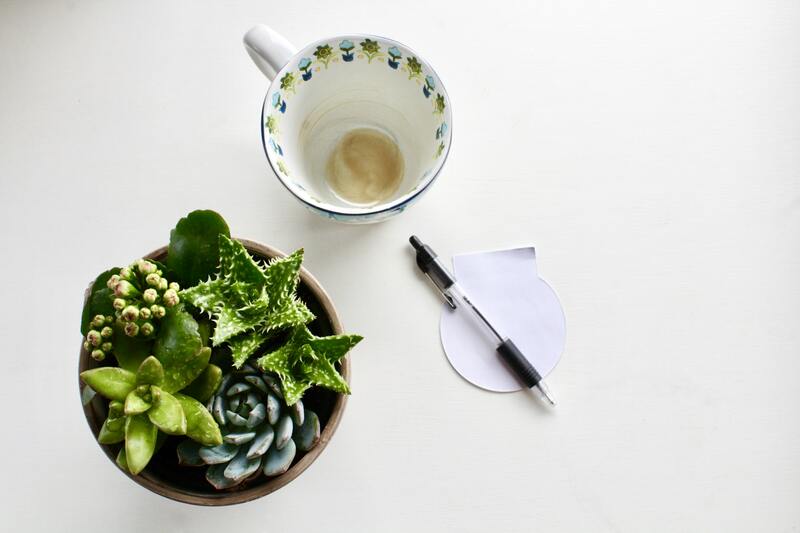 The best part about drinking white tea is you can reap the benefits of increased alertness without the side effects of drowsiness or impairment that comes with prescription anxiety drugs. White tea also contains a small amount of caffeine that can help jumpstart your day or offer a pick-me-up in the afternoon. On average, white tea contains about 28 mg of caffeine in every 8-ounce cup. That’s far less than the average 98 mg in a cup of coffee and slightly less than the 35 mg in green tea. With lower caffeine content, you can drink several cups of white tea per day without the negative effects that strong cups of coffee can have. You can have three or four cups a day and not worry about feeling jittery or having insomnia. White tea has high levels of flavonoids, tannins and fluorides that help teeth stay healthy and strong. Fluoride is popularly known as a tool in preventing tooth decay and is often found in toothpastes. Both tannins and flavonoids help to prevent the buildup of plaque that can cause tooth decay and cavities (7). White tea also boasts antiviral and antibacterial properties that help keep teeth and gums healthy. To get the tooth health benefits of white tea, aim to drink two to four cups per day and re-steep tea bags to extract all of the nutrients and antioxidants. Diabetes is caused by genetic and lifestyle factors and is an increasing problem in the modern world. Fortunately, there are many ways to regulate and control diabetes and white tea is one of them. Catechins in white tea along with other antioxidants have been shown to help prevent or regulate Type 2 diabetes. White tea effectively acts to inhibit the activity of the enzyme amylase that signals glucose absorption in the small intestine. In people with Type 2 diabetes, this enzyme breaks down starches into sugars and can lead to blood sugar spikes. 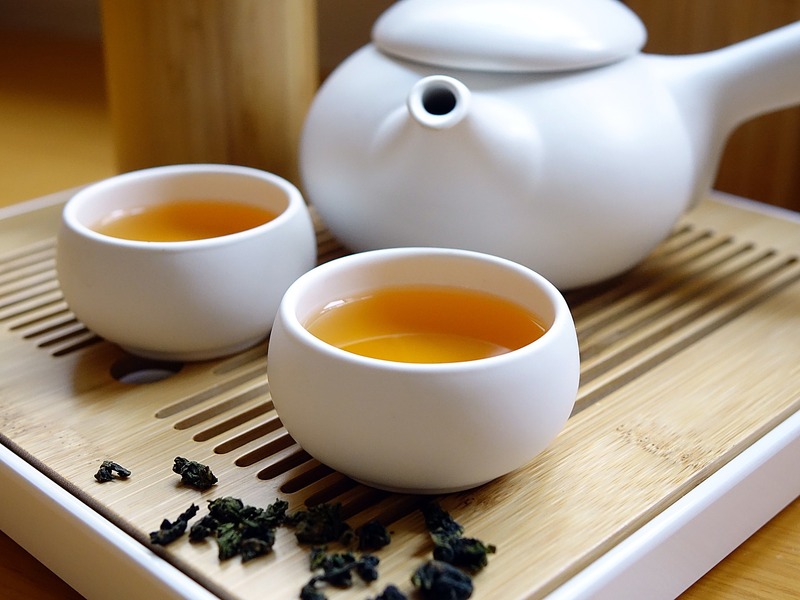 Drinking white tea can help regulate those spikes by blocking the production of amylase. In a 2011 Chinese study, scientists found that regular consumption of white tea lowered blood glucose levels by 48 percent and increased insulin secretion. The study also showed that drinking white tea helped to alleviate polydipsia, which is a severe thirst caused by diseases such as diabetes (8). The catechins and polyphenols in white tea boast anti-inflammatory properties that can help relieve minor aches and pains. A Japanese animal study published in the MSSE Journal showed that catechins found in white tea aided in quicker muscle recovery and less muscle damage (9). White tea also improves circulation and delivers oxygen to the brain and organs. Because of this, white tea is effective in treating minor headaches and aches and pains from working out. Having a healthy heart means living a longer and fuller life. With everything from diet and smoking to environmental factors contributing to heart health, it's important to take steps to prevent against chronic diseases. White tea helps protect healthy heart function and prevent illnesses including blood clots, stroke and heart attacks. Since white tea is the least processed of true teas, it also contains the most antioxidants. Catechins in white tea may help lower blood pressure, improve circulation and lower the risk of heart disease. Antioxidants in white tea have also been shown to lower cholesterol levels, especially bad LDL cholesterol (10). For white tea, boil water to 170 F.
As with most teas, using pure, filtered water will result in better-tasting and more flavorful teas. You can use any type of water from tap to bottled or filtered, but avoid using distilled water since it can taste flat. Infuse for 30 seconds to 5 minutes depending on the type of tea and your personal taste preferences. Buds take longer to steep than large leaves and small leaves steep the fastest. Taste the tea every 30 seconds to ensure proper flavor as over-steeping can lead to bitter flavors. Drinking a few cups of white tea every day can have a positive effect on your overall health. Along with the traditional health benefits of tea on your immune system, white tea can help prevent serious diseases such as cancer and heart attacks while keeping hair, skin and teeth healthy. The best part about white tea is that many varieties are easy to find. You can buy white tea at your local grocery store or purchase through an online tea shop. Some varieties are widely available as a loose-leaf tea or in tea bags, while pure varieties such as Silver Needle require a little more effort to acquire in the U.S. Drink to your health and sip a soothing, golden cup of white tea while basking in the health benefits.